A beautiful morning and Lake Junaluska was calling again. I approached the lake along Golf Course Road on the side that borders U.S. Hwy 19. A thick white mist was rising from the warm water into the crisp morning air and the coots were disappearing from the surface and popping back up like giant black corks bobbing in the water. There is definitely no shortage of coots at the lake this fall. My first stop was at the pull off just before North Lakeshore, across from the wetlands. Across the lake was a group of around a dozen redheads. These handsome diving ducks regularly grace the lake from time to time now through spring. This particular group has been around since the last cold snap. Near the redheads was a pair of gadwalls. Gadwalls are mallard-sized puddle ducks. The male is gray with black tail coverts. The hen gadwall can look a lot like a mallard hen but the mallard hen usually shows a blue speculum (wing patch) when resting and/or swimming while the hen gadwall generally shows a small white patch (from the inner secondaries) near the rump. A raft of ruddy ducks was napping out from the large parking area near the chapel. Ruddy ducks have been regular winter visitors over the past few years and their population seems to be growing, there were at least 40 present last Saturday. I was surprised to find an immature pine warbler foraging in one of the spruces near the cross. We occasionally get pine warblers passing through in the spring and fall but November 13 seems a little late. A stop across from the lake at the Waynesville Greenway parking area on Richland Creek produced white-throated sparrows and a pair of hairy woodpeckers. Another pleasant surprise was three or four rusty blackbirds gorging themselves on dogwood berries at the lake. The rusty blackbird is named for its gorgeous rust-tinged winter plumage. Rusty blackbird numbers have dropped precipitously since the 1960s and biologists are trying to discover the causes. 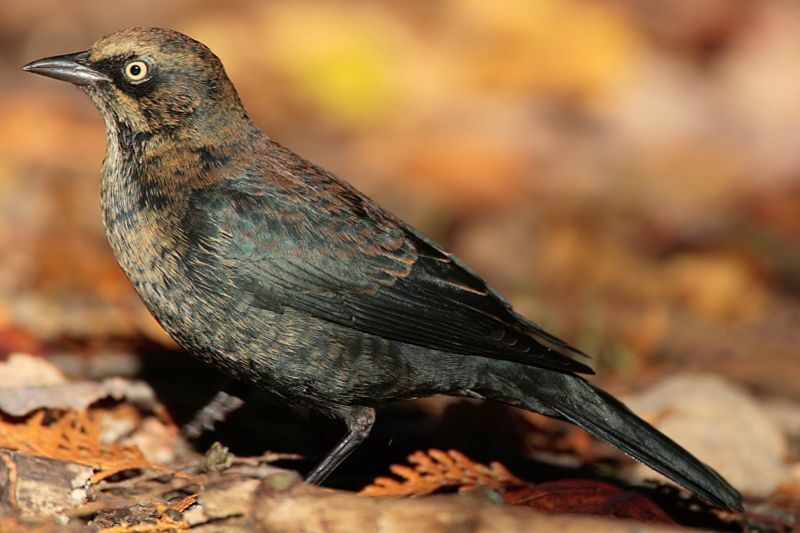 Smithsonian and partners have created the International Rusty Blackbird Technical Working Group to try and discover the causes of the decline and work to help re-establish the population. You can google “rusty blackbird working group” to learn about these efforts.